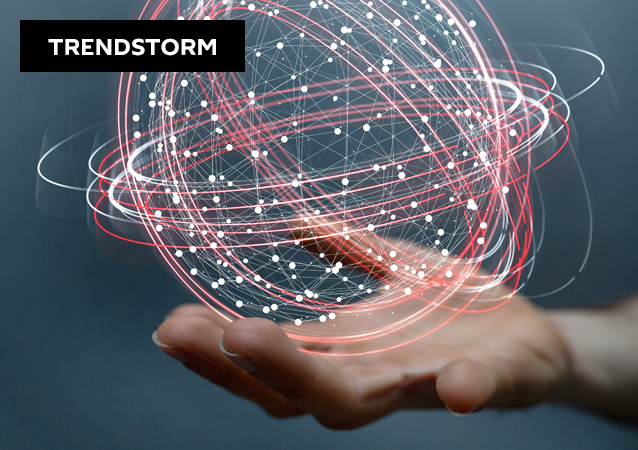 Among the bombshell leaked documents exposing the internal workings and activities of the shadowy Institute for Statecraft - the front 'charity' behind Integrity Initiative - is a file dating to July 2016, detailing how the organization facilitated a visit of Ukrainian Reserve Officers to the UK, an effort bankrolled by the Ministry of Defence. MOSCOW (Sputnik) - Western sanctions imposed four years ago have reduced Russia's gross domestic product (GDP) by 6 percent since 2014, a study by Bloomberg Economics revealed on Friday. MOSCOW (Sputnik) - The Russian government is finalizing the work on a resolution imposing economic measures in response to Ukrainian sanctions, they will affect 360 companies and more than 50 individuals, a source in the Russian cabinet said Tuesday. 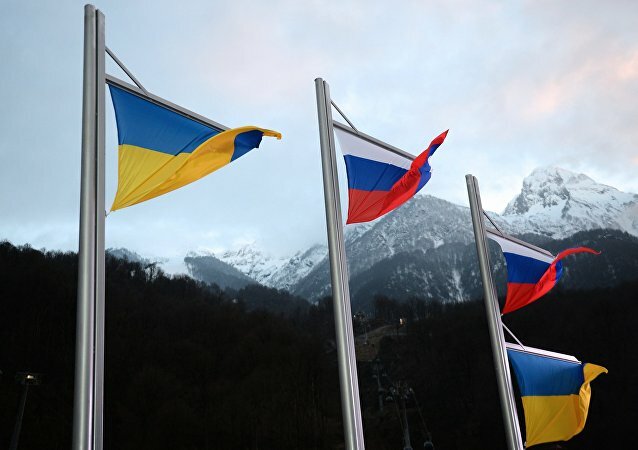 MOSCOW (Sputnik) - Russian President Vladimir Putin has signed a decree to introduce special economic measures against Ukrainian individuals and entities as a response to Kiev's unfriendly actions toward Russian nationals, the Kremlin said on Monday. Private International Monetary Fund (IMF) data indicates Ukraine is the poorest country in Europe, due to its failure to achieve economic growth since 2014. The announcement came as Petro Poroshenko visited Ukrainian military personnel in Kramatorsk. In his speech he stressed that now the country will be ready for war with Russia. Some users, commenting his post on Facebook, expressed skepticism concerning his promises. 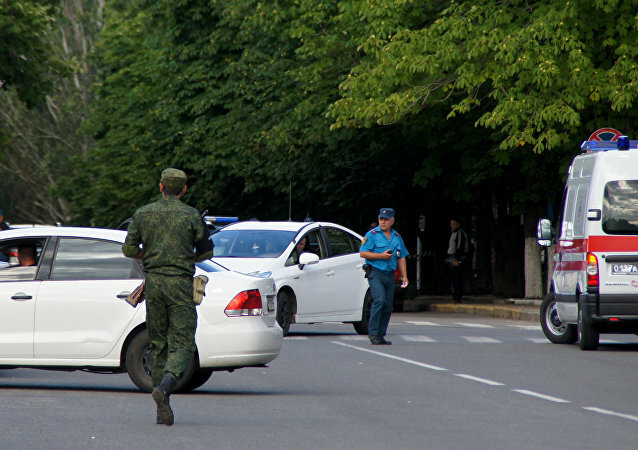 Lugansk Leadership Change: Connecting Novorossiya? 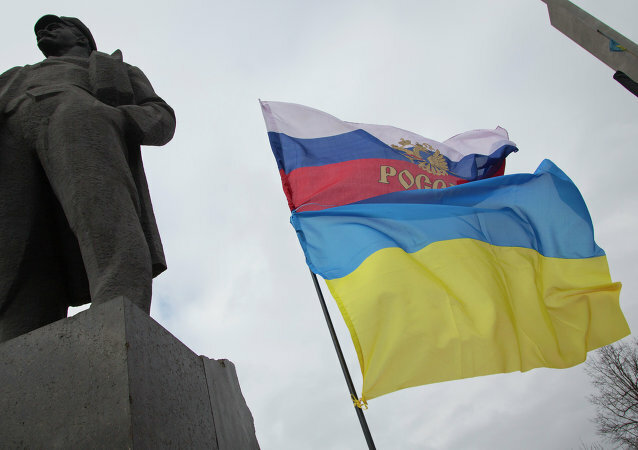 Our final topic, picked by you, dear listeners, earlier in a poll on our Facebook page, is “Lugansk Leadership Change: Connecting Novorossiya?”, focusing on how the latest political developments in Lugansk might make the Novorossiya project geopolitically possible. According to the self-proclaimed Lugansk People's Republic prosecutor general Grigory Tsevenko, two LPR lawmakers were killed amid the temporary ceasefire regime in war-torn Donbass. 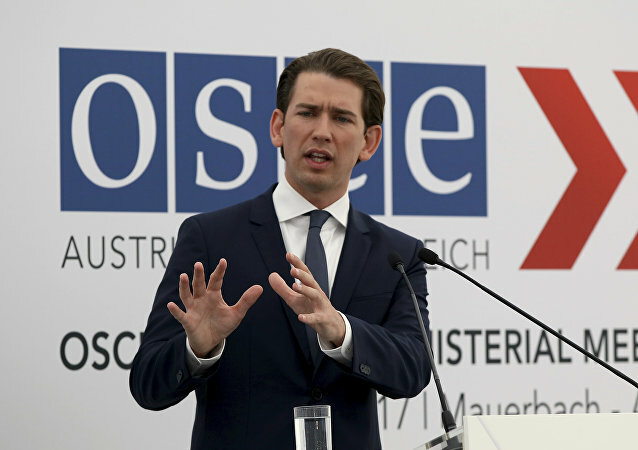 OSCE Chairperson-in-Office and Austrian Foreign Minister Sebastian Kurz thanked the leaders of the Normandy Four format for their support for the ceasefire, but noted that there were still many steps to be made in order to ensure peace in Donbass. 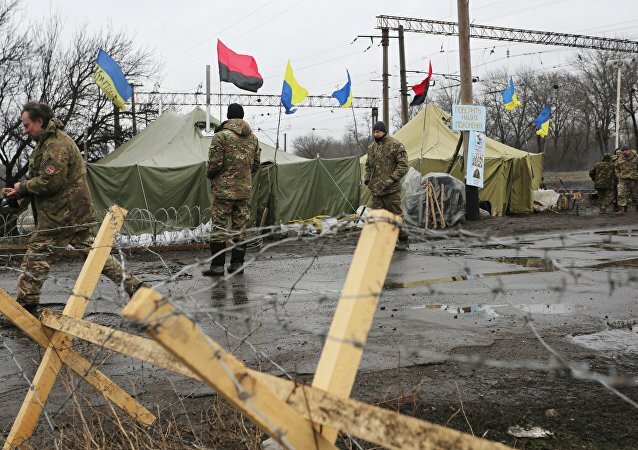 Russia's envoy to the trilateral Contact Group on Ukraine Boris Gryzlov said that the Trilateral Contact Group on Ukraine agreed on a ceasefire in Donbass from August 25. Over 2,700 civilians have been killed in Ukraine's southeastern region of Donbass since the start of the armed conflict with Ukrainian forces in 2014, the International Committee of the Red Cross (ICRC) said Saturday. US President Donald Trump's new representative for the Ukraine, Kurt Volker, says Washington is considering giving arms to Kiev. In an astonishingly naive interview, he said he did not believe arming the Ukrainians would be a provocative gesture. The Donetsk People's Republic has declared the establishment of a new country - Malorossiya - which the local leadership described as a successor state to Ukraine. Russian Foreign Minister Sergei Lavrov delivered a speech in the German capital on Thursday. 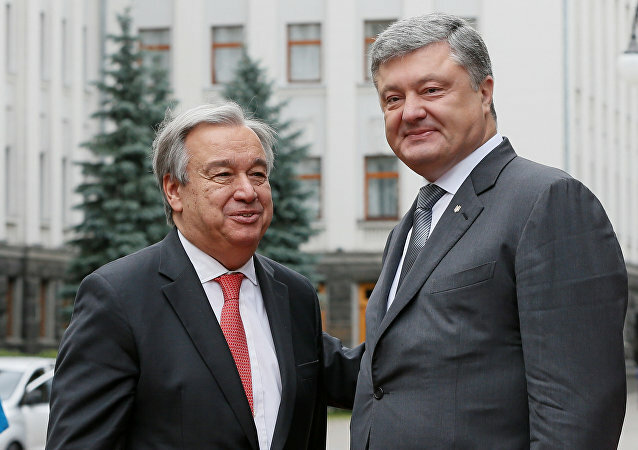 UN Secretary-General Antonio Guterres stated that organization is committed to help the people, who were displaced in the Eastern Ukrainian conflict. 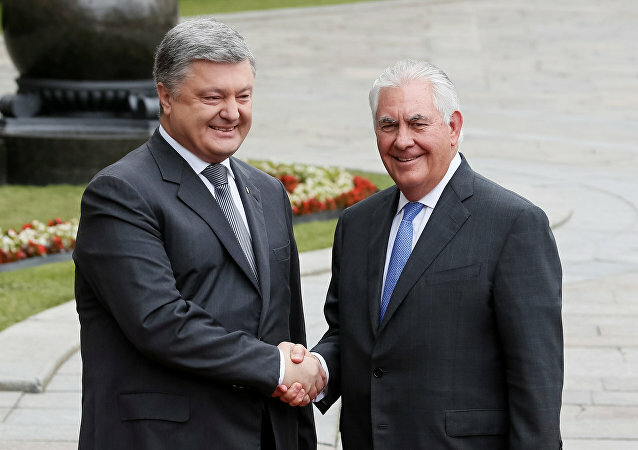 Ukrainian President Petro Poroshenko said that Kiev seeks the help from the United States and the Normandy Four countries in the process of settlement of Donbass’ conflict.